My youngest son was recently invited by a friend to a major sporting event so I wanted to bake something for his family. I didn’t have a lot of time so I went poking around my cookbooks and pantry and wound up with this cake mix snickerdoodle recipe. It’s always nice when you want to make something and you have all of the ingredients. I’ve always considered snickerdoodles an ultimate holiday cookie. The house smells so delicious while they are baking. While I’ve made snickerdoodles in the past, I’ve not made this quick recipe. 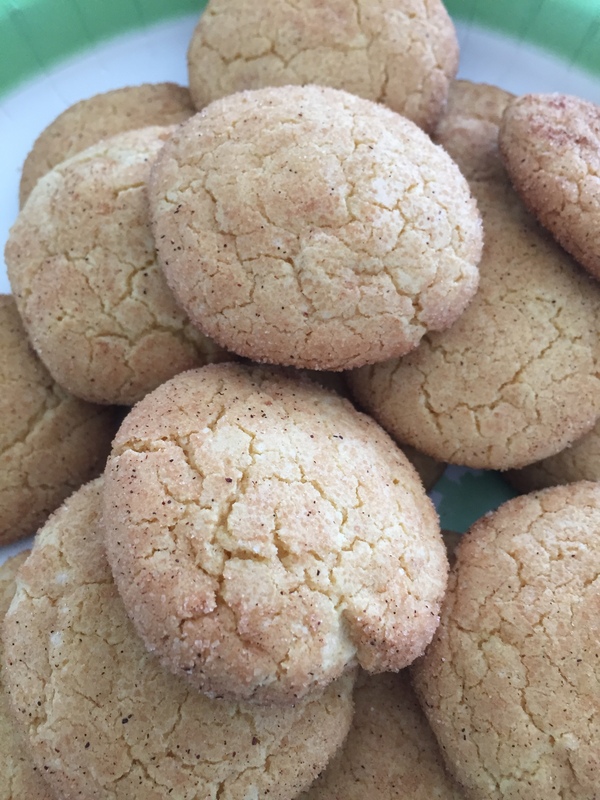 So the week 26 recipe in the 52 Week New Recipe Challenge is cake mix snickerdoodles. It’s just a fun word to say, snickerdoodle, isn’t it? Preheat oven to 375 degrees F. Grease baking sheets or line with parchment paper. Blend sugar and cinnamon in a bowl and set aside. Combine cake mix, eggs, oil and 1 tablespoon cinnamon sugar in large bowl with wooden spoon until well blended. Shape dough into 1 to 1 1/4-inch balls (I used a 1 1/4-inch cookie scoop) and roll in remaining cinnamon sugar mixture. Place onto prepared cookie sheet. Flatten cookies, gently, with the bottom of a flat glass. Bake 8 to 9 minutes or until set. Cool cookies 1 minutes before removing to cooling rack to cool completely. Store in an airtight container for up to 4 days. Recipe adapted from Duncan Hines. This entry was posted in 52 Week Challenge, Christmas, Comfort Food, Cookies, Desserts, Holidays, Kid's Favorites, Makes A Great Gift and tagged 52 week new recipe challenge, cake mix cookies, cinnamon cookies, cinnamon sugar, Cookies, holiday cookie tin, Holiday Cookies, snickerdoodle cookies, yellow cake mix. Bookmark the permalink.